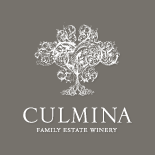 Culmina Family Estate winery is the result of a lifetime of experience in the wine industry for Elaine, Sara, and Donald Triggs. The Triggs goal of making ICON quality wines is underscored by three principles: their love and appreciation of art and design; second, their exploring of all possible avenues of science to reach high caliber results and, an appreciation that it is only through striving for perfection that they achieve high caliber results. Wines available in tasting room, and VQA stores in BC and private wine stores in BC and Alta and select restaurants in BC, Alta, Ont. and Que. Liqour store availability under development in most markets. 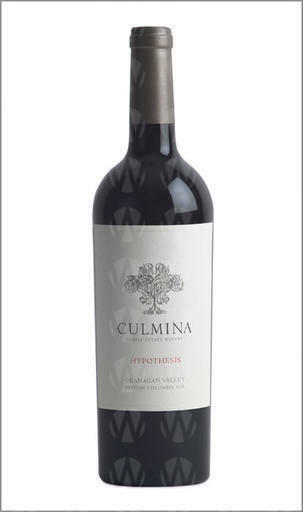 Celebrity chefs create gourmet dinners with each course designed to match a Culmina wine in the romantic Barrel cellar or Beautiful fermentation room with its' black and white checkered floor and classic period chandelier. A 90 minute vineyard and winery tour at cost of $25 with $10 rebate on purchase of Hypothesis ; prefer to pre book to ensure availability. A 45 minute sit down tutored tasting of 4 wines ranging in price from $22 to $ 48 per bottle. Tasting room open daily 10:00 to 5:30 .